An Arab terrorist who stabbed an Israeli woman in Gush Etzion in 2015 was sentenced to 14 years in prison Monday. 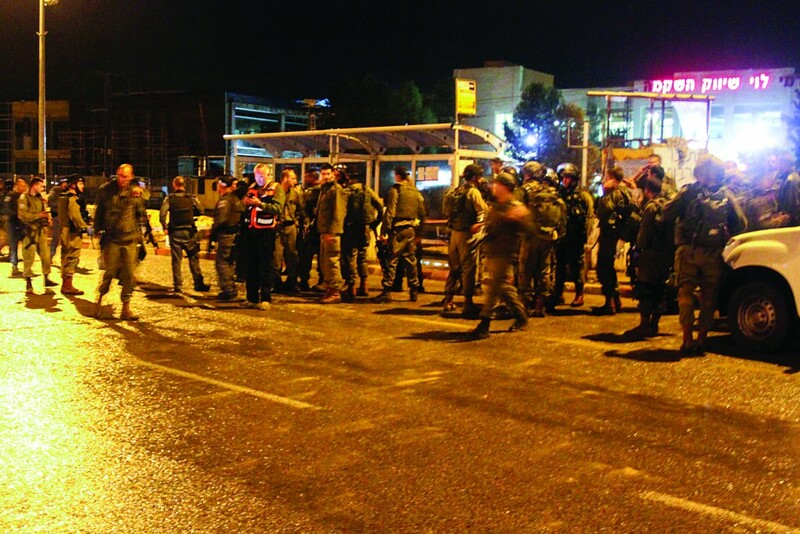 A military court in Binyamin sentenced Hamda Faiz for the stabbing attack that nearly killed Nurit Zamora in the parking lot of the Rami Levy supermarket at the Etzion Junction. Faiz stabbed Zamora, a resident of the Chevron Hills town of Beit Hagai, in the back as she was loading groceries into her vehicle outside the supermarket. Intending to kill her, the terrorist hit her spinal column – but not the spinal cord, b’chasdei Shamayim. As a result she was badly injured but survived. The supermarket is just one of numerous businesses frequented by Jews and Arabs at the junction, which in recent years has become a major shopping hub for residents of not only Efrat, Kiryat Arba, and other Jewish towns in the area, but for residents of Arab villages in the region as well. The attack on Zamora occurred during a period when there were many similar attacks in the Gush Etzion area. In addition to the jail sentence, Faiz was ordered to pay NIS 500,000 in compensation to the victim’s family. He was also sentenced to three years of a suspended sentence, which will take effect when he is released from prison. Violations of the law or committing further terrorist acts will land him back in prison for the three-year suspended sentence, in addition to his being required to serve the entire 14-year sentence, even if he was released early for good behavior.